Walking through the Mayfield Lavender Fields in Surrey, Niomi Smart wears Carvela Kurt Geiger ‘Kiki’ proving that gladiators are not only fierce but feminine too. 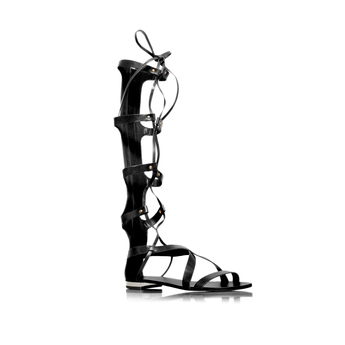 Taking your style to new heights, team this fashion-forward gladiator sandal with denim shorts for a festival look or steal Niomi’s style and opt for a floaty dress for a more girly weekend look. 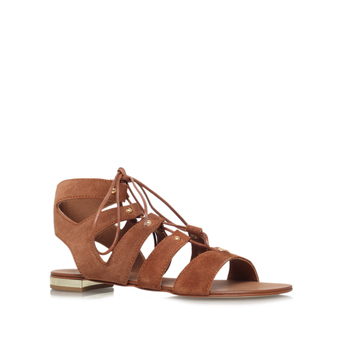 These gladiators come in staple tan and black making them your go-to sandal for ultimate summer style.